Supergraphic screen for Liberty Place lobby. Like moths to a flame, an illuminated lantern draws visitors to 325 7th Street NW, also known as Liberty Place. An ultra-clean, bright and modern lobby is softened with tranquil imagery of cherry blossom branches on the path to the elevators. The artistic lantern graphic uses a halftone design where each dot is the number “325,” the building’s address. 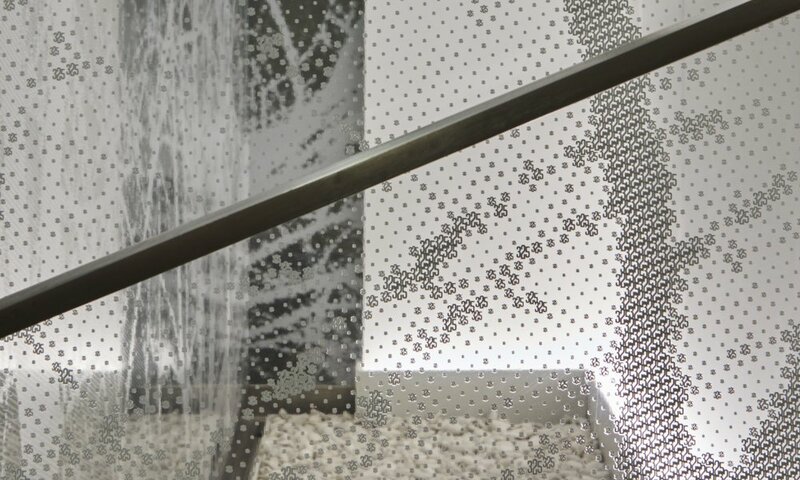 Hickok Cole Creative delivered an artistic super graphic installation to Liberty Place.